Whenever a divergence occurs (as indicated by the indicator), enter a trade in direction suggested by the divergence, with no SL, and TP at the opposite outer band of Bollinger Band. Keep moving TP every 4 hours to the targeted outer band of Bollinger Band, until price hits (at either profit or loss). Suggested filter: (a) take only trade when there is large enough distance (potential profit) between entry price and opposite outer band of Bollinger Band; (b) take only trade when price still needs to travel across the middle Bollinger Band line before it can reach the other end (similar to giving you more distance and potential profit). 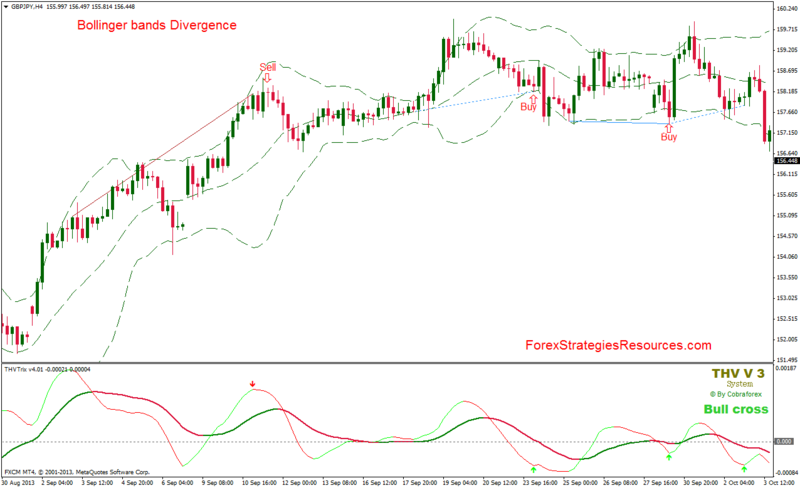 Forgot to add, another exit point is if a new divergence signal occurs, pointing the wrong way.